A fresh and exuberant presence in the contemporary art scene artist Wendy Franklin is redeﬁning and reestablishing the role of ﬁber art throughout the ﬁnest galleries in the country. 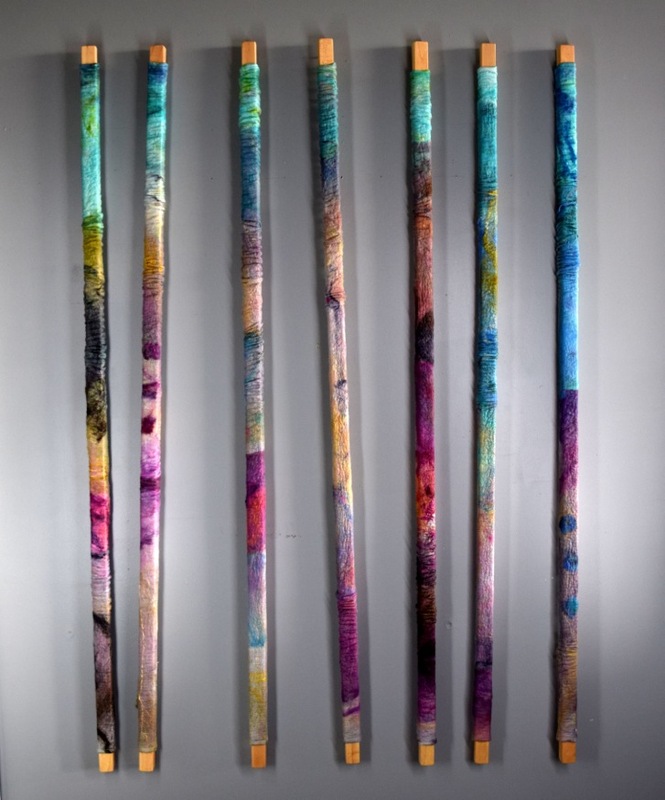 Using centuries-old techniques which involve intricate layering of individual ﬁbers she transforms raw materials into yards of luminous color. 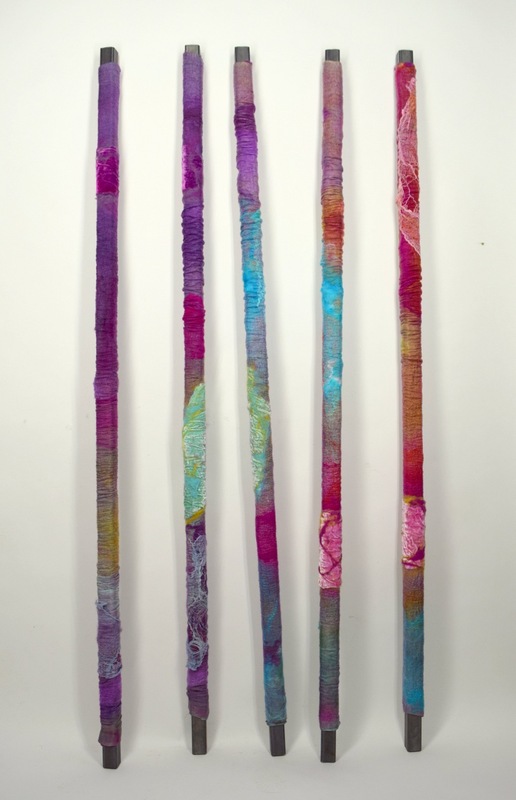 Rooted in the global tradition of textile art with a pursuit to elevate the medium to new levels, Franklin’s tactile creations speak the common language of the human condition. 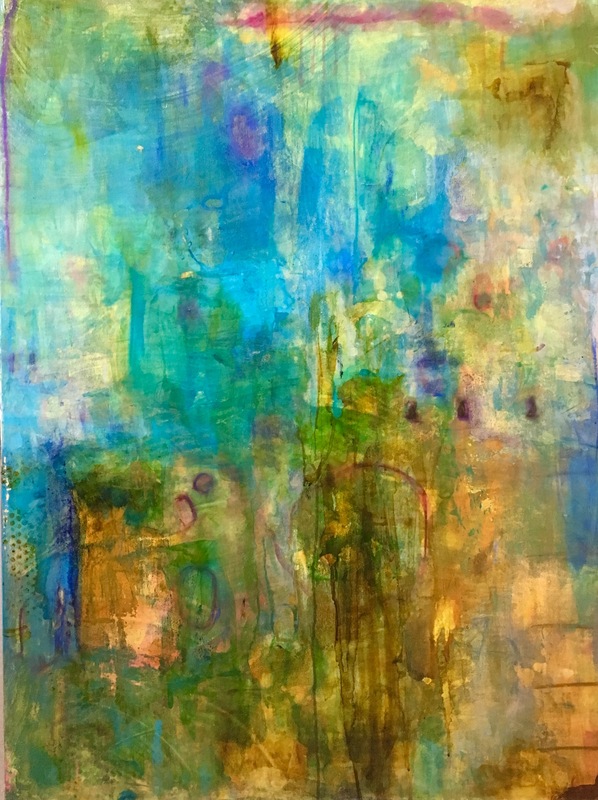 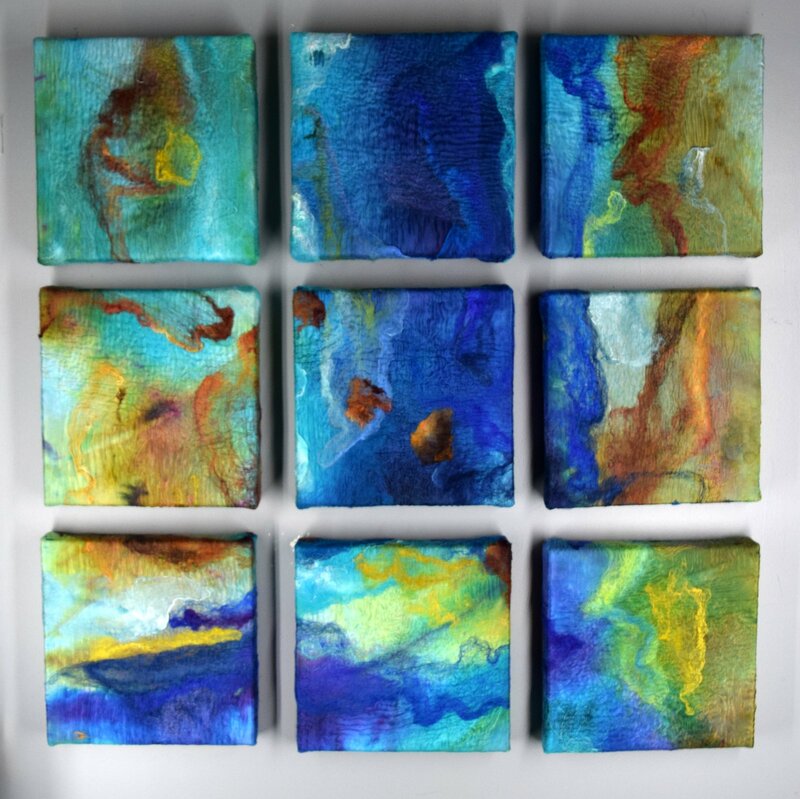 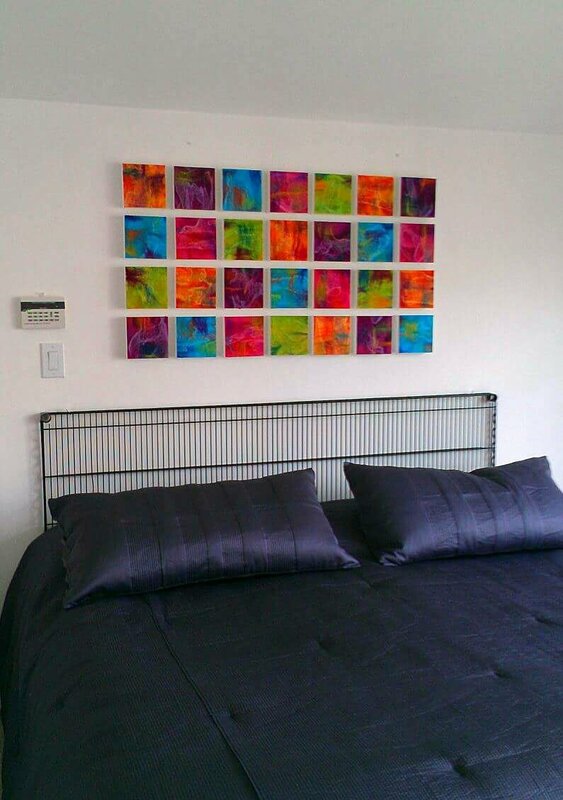 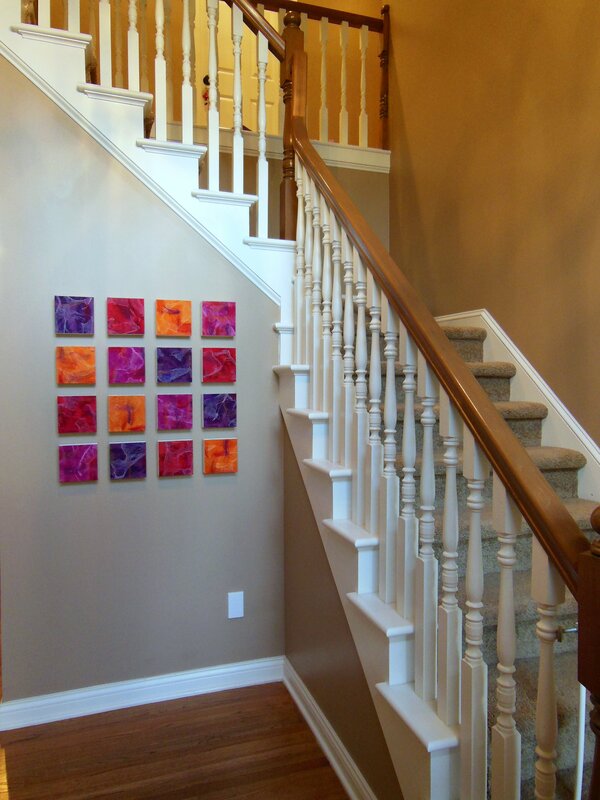 Her dedication to natural materials and processes paired with an innovative application of compelling color and savvy design have placed her solidly in the ﬁne art realm. 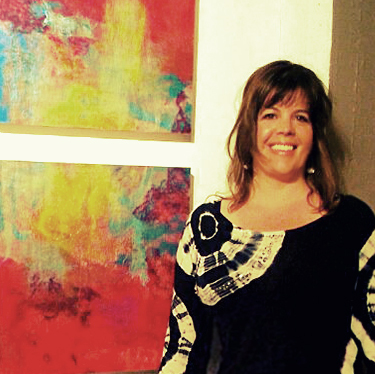 Wendy Franklin is perhaps most well known for her celebrated Bar Collective Series. 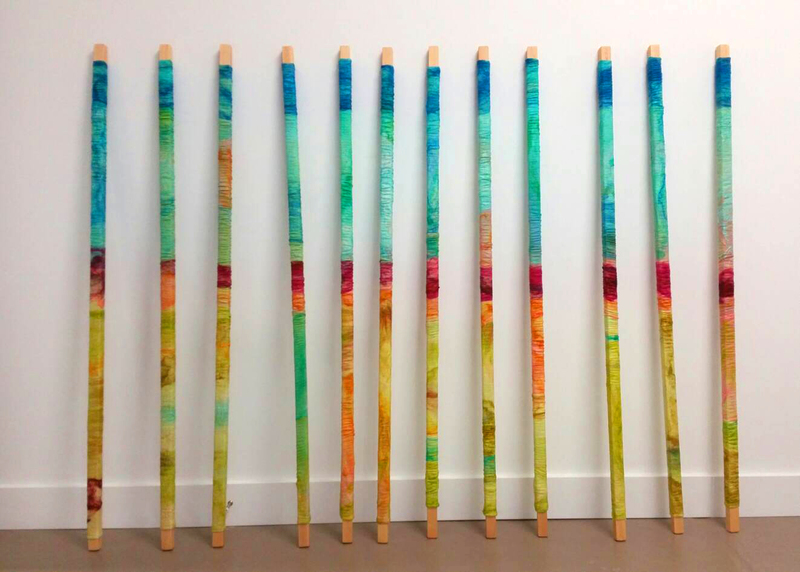 These innovative instillations of ﬁber wrapped wooden/steel bars offer an exciting alternative to the rectangle confines of the wall painting. 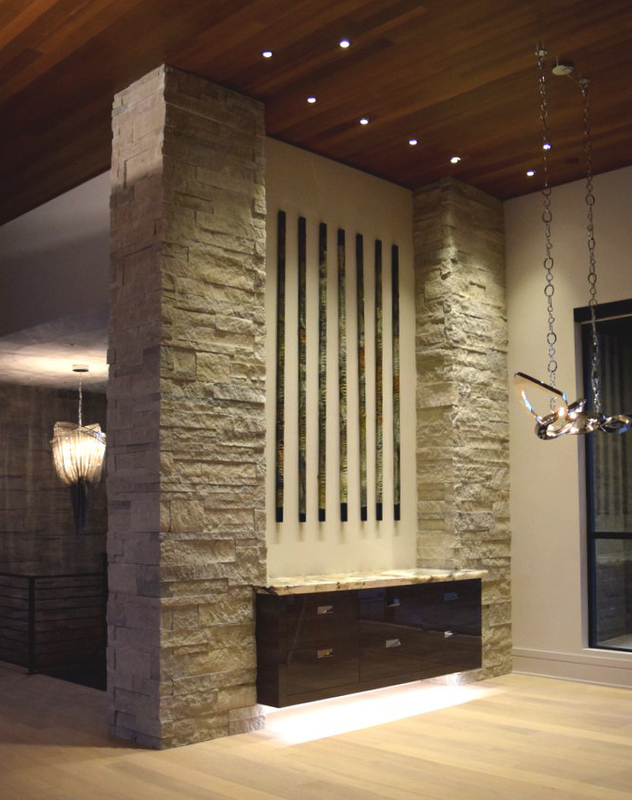 Inspired by the vertical motif of fence posts these sculptural forms symbolically represent the barriers which simultaneously keep us confined and protected from the outside. 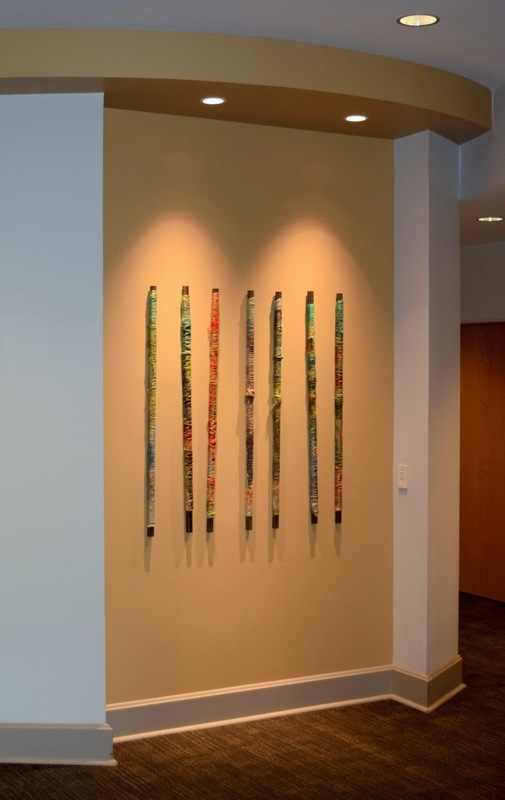 Franklin’s work is exhibited in several galleries across the country and has been included in multiple individual and corporate collections including Barnes and Thornburg, Bedel Financial, and Community North Hospitals.